FREE MagicFiber Cloth / Don't Get Fooled by Knockoffs! 49mm Metal Screw-in Hood for Standard Lens with Lens Cap "US seller"
118 product ratings - 49mm Metal Screw-in Hood for Standard Lens with Lens Cap "US seller"
77mm Metal Screw-in Hood for Canon Nikon Sony Pentax Standard Lens "US seller"
82mm Universal Metal Wide Angle Circular Lens Hood Shade New! 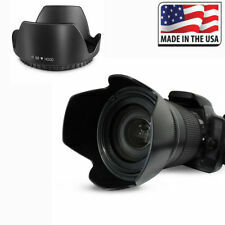 Nikon HB-37 Bayonet Hood for 55-200mm F/4-5.6G ED-IF AF-S DX VR Lens - Genuine! 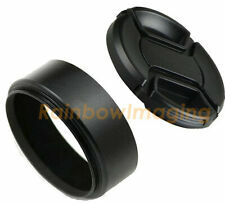 For Retina f2 lens. Vintage Kenko 32mm thread mount lens hood K6/23 Mint. 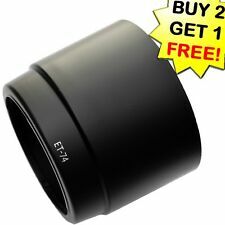 55mm Universal Camera Lens Hood Shade Screw on type New! 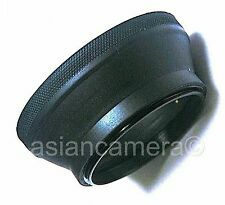 55mm Universal Metal Wide Angle Circular Lens Hood Shade New! This page was last updated: 23-Apr 12:08. Number of bids and bid amounts may be slightly out of date. See each listing for international shipping options and costs.